I was asked to make a ring for a customer that was to be a gift for her daughter. 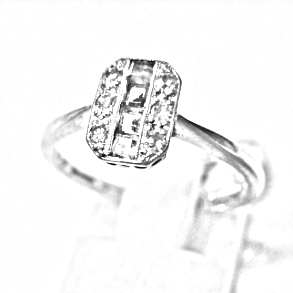 The ring was to be a reminder of the daughters late grandmother. I was given a budget so my next task was to find out the kind of jewellery the daughter liked. To find out my customers tastes I get them to send me photos of jewellery that they like. I am not concerned at this stage with colours but shape. This customer likes squarer forms and an antique look. 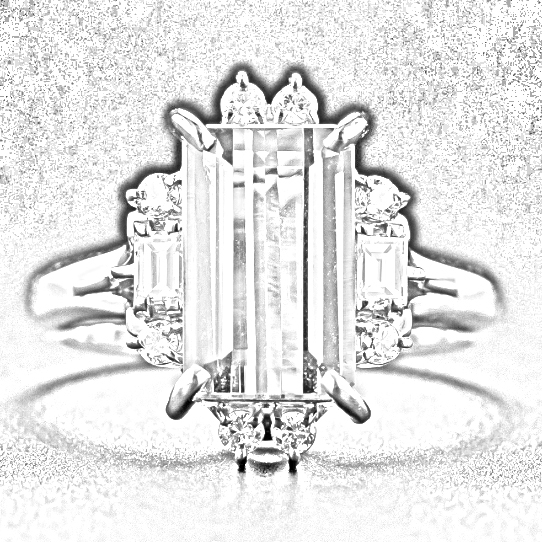 You can also see that larger rings and main gems also appealed to her. Considering our budget and that the main gemstone was to be Natural Emerald we would need to use some smaller gems and combine them to create the look of one gemstone. I decided that one of the designs was a good starting point. The details of the design would change as you will see but I needed an idea of how large she wanted the design to look on her hand. 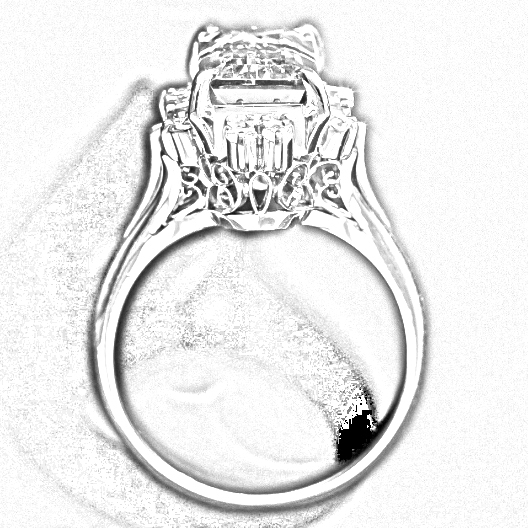 To do that I took some photos of her hand and then scaled the photo of the ring onto it. This is what it looked out with no alterations. This was too small for her. Her response to the image was it is too small. I did numerous versions increasing the size of the ring head until she liked the look. Below is the size she approved. About the size on her hand that she desired. With a better idea of the gem sizes we required I could now start planning on how we were going to meet the budget. After quite a few modifications we came up with this top view that used 3 square cut natural Emeralds in the middle. The design on the left was chosen with a slight size difference between the black and white diamond halos. We also explored many different gold colour combinations before deciding on those shown above. 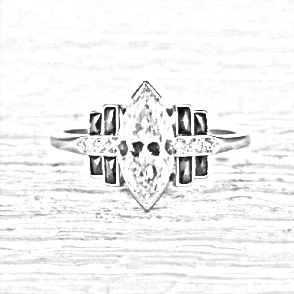 One of the things that I originally noticed in the design this customer sent me was that she liked the side detail (gallery) that you find in many old rings. Skipping a lot modifications the approved gallery is shown above. As per usual we did a draft to confirm the finger size and overall shape of the ring. 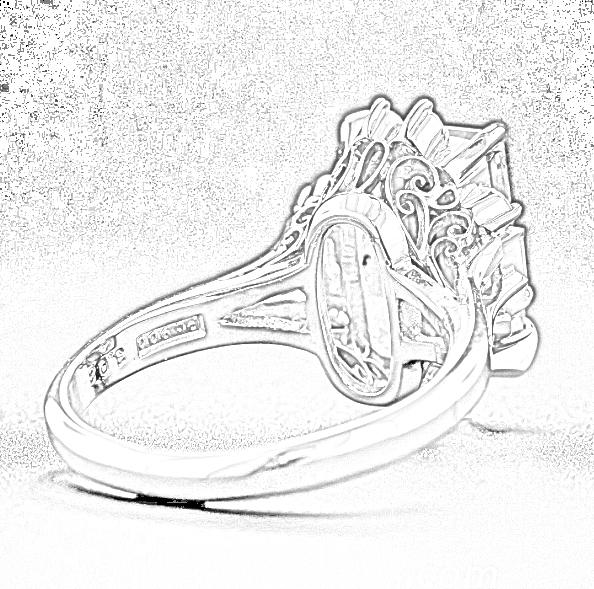 In the case of a ring like this one the draft was extremely rough. I was very fortunate that I have made several rings for this family in the past and they had faith in the process. Emeralds are not an everyday wear gemstone in my opinion. Whilst they are quite hard they are extremely brittle. 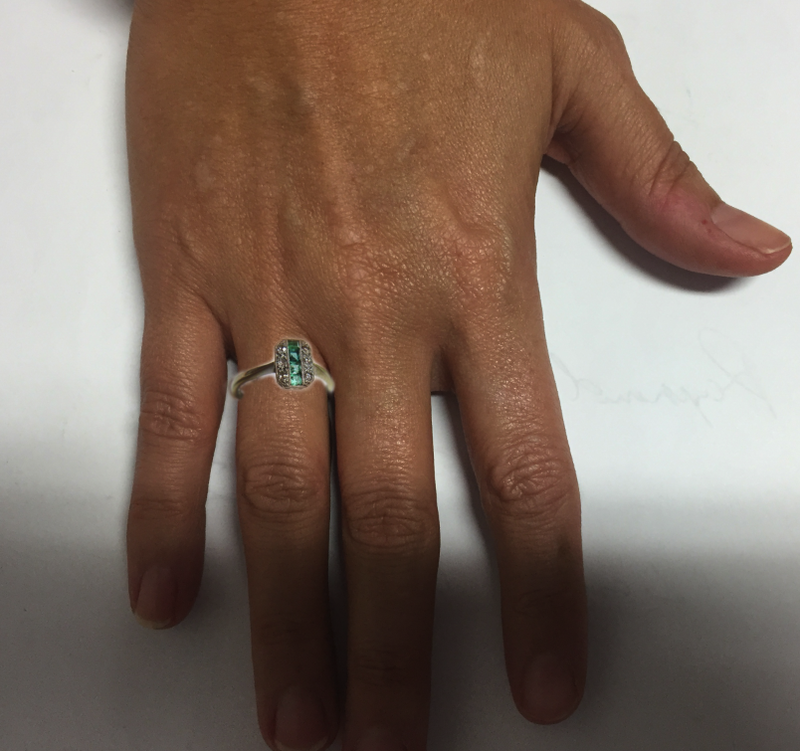 This customer has had “the talk” and provisions have been made in the design so that if we ever need to remove the Emerald section to replace some damaged gems we can do so without having to remake the whole ring.